Innovative manufacturing procedures permit streamlined production of steel parts and components in high unit numbers. Our partially-automated presses guarantee good capacity utilisation, short through-put times and low material inventories whilst maintaining the highest quality. 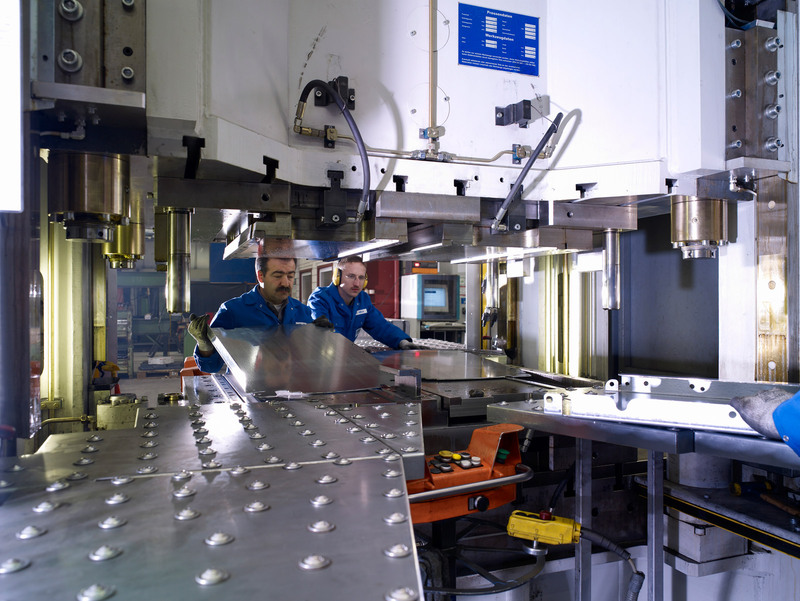 As well as from modern technical equipment that permits the production of sheet metal parts of up to 1,800 mm x 800 mm, advanced engineering expertise is available to our customers for support in the area of development. As a versatile and solution-oriented partner for our customers, we provide the best prerequisites for efficient serial manufacturing. Thanks to our lived flexibility in close combination with the latest technology, we always find the right concepts on which we base long-term and successful business relationships. Our declared aim for each order is to ensure optimised economic efficiency. As well as modern technical equipment, advanced engineering expertise is available to our customers in the area of development. Our company was certified according to DIN ISO 9001. This is a confirmation of our previously achieved quality standard, which at the same time represents an obligation to continue to do everything to be a reliable and expert partner for our customers. As a forward-looking company, we are engaged in continual further development to promote new, individual solutions, which not only convince, but also excite customers.